High-end Muskoka waterfront purchases were up 66 per cent in 2014 over 2013, much of it fuelled by the weak dollar and growing international interest. MUSKOKA—Tokata is one of those idyllic enclaves of waterfront real estate — spacious, gracious, packed with modern amenities and perched on a private peninsula jutting into quiet Silver Lake. You can watch the sun rise from its stunning granite-and-wood Muskoka room facing the east deck, and the sun set from the elegant Great Room overlooking the west deck. If you can pass the extensive background check, the phone interview and the three-page questionnaire setting out house rules, all this and more can be yours — for $12,000 per week. Personal chef and yoga on the dock are optional. In the quest to make Muskoka a manageable experience, Sotheby’s realtor Ross Halloran created a “Take your dream home for a test drive” rental program, now headed into its second summer. It aims to help the growing number of wealthy buyers looking for luxury waterfront real estate navigate their way around cottage country’s Big Three of Lake Joseph, Lake Rosseau and Lake Muskoka, plus dozens of others. “We’re seeing a renewed interest in Muskoka,” says Halloran, echoing a recent Christie’s International Real Estate global luxury white paper. It noted a 66 per cent increase in high-end Muskoka waterfront purchases in 2014 over 2013, much it fuelled by the weak dollar and growing international interest from the wealthy of the world. “People view Muskoka as the Hamptons of the north and it’s definitely a destination that’s now known internationally. This is a region in transition,” adds Halloran. View from the private boat launch at Tokata. 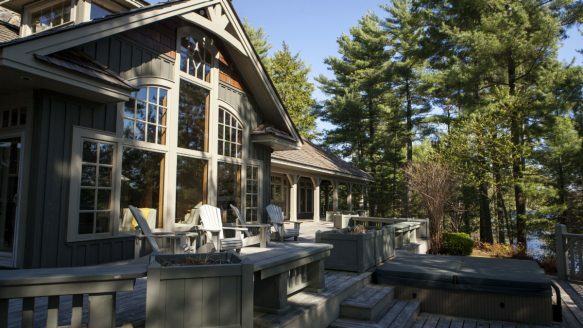 Muskoka sales — and prices — started rebounding dramatically last spring and really took off in the fall, with sales for properties over $2 million hitting record levels by the end of 2014, says Christie’s Canada CEO Chris Kapches. Some of the grand “old Muskoka” landmarks, built by American industrialists back in the 19th and early 20th centuries, have been coming on the market for the first time in decades as families age out, grow too big to share all that history or simply realize the costs — which can be $20,000- to $70,000-plus in taxes alone — are unbearable for a two-week summer get away. 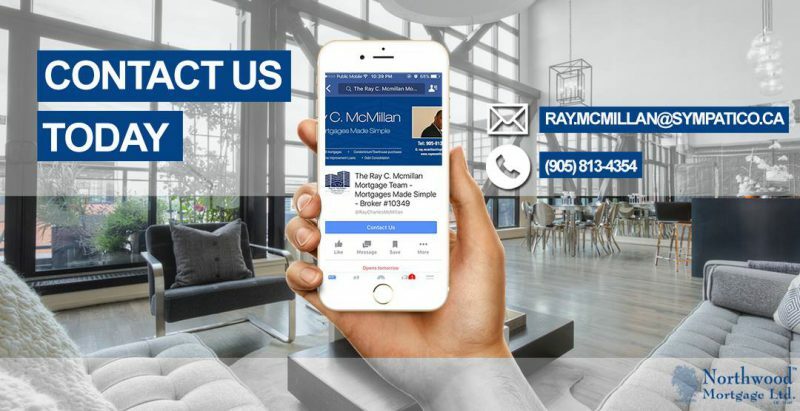 “We went through a few years after the last recession where buyers’ and sellers’ expectations were not in sync — buyers were just not prepared to pay what sellers were asking — so we had some properties that were on the market for three seasons with price reductions year in and year out,” says Kapches. The Lakelands Association of Realtors, which represents Muskoka, Haliburton and Orillia, says this January through April has been the best start to overall waterfront sales since 2010, with total transactions up 44.8 per cent over the same four months in 2014. Muskoka-area realtor Storey Badger thinks this year could set a new record: As of May 12, 27 waterfront properties have been sold on Muskoka’s Big Three lakes, including a $7.5 million Lake Joseph property this week. That’s up from 17 waterfront sales, year over year. Halloran, like other realtors who focus on the Muskoka market, are suddenly seeing renewed demand from GTA buyers, long-time cottagers looking to move up, ex-pats living overseas but longing to give their families quintessential Canadian summers and international buyers looking for a serene and safe place, ideally with a sunset view, to park a few millions. Halloran started the luxury rental program because he realized it was difficult for even the most savvy of investors to navigate Muskoka’s dozens of lakes, given that the Big Three of Rosseau, Joseph and Muskoka are daunting all in themselves. Some are good for fishing, others for golf and socializing, so the program, which now features some 30 luxury waterfront properties throughout Muskoka lets vacationers and, more importantly potential buyers, try out a lake for a while. Not all the properties, like Tokata are up for sale. There are many where the owners are simply looking to fill some empty time and recoup a few of the costs of having a pricey house in the woods where they only have maybe two weeks a year to just sit and relax on the dock. This “personal waterfront resort for the buyer seeking seclusion and privacy” is gently nestled in granite galore. It features tennis courts and a two-slip boathouse with its own guest suite and super-sized entertaining deck right at the water. This Bass Island home sits on a private island. Just finished last year by its European owners, this “elegantly designed architectural masterpiece” offers panoramic sunsets and a lake-water plunge pool — inside — so you can avoid the black flies after your hot tub or Finnish dry sauna. This rare offering is as “old Muskoka” as it gets, right down to its guest residence, six-slip, four-bedroom boat house and wicker furniture. It was once owned by Donald Hunter, son of the co-founder of Canadian communications giant Maclean-Hunter Ltd. This 10-year-old, four-plus bedroom property, called Tokata, is design perfection, offering a modern spin on age-old Muskoka traditions like the screened-in Muskoka room and Great Room with fireplace. A 4,000 square foot, wrap-around deck offers sunrise and sunset views.